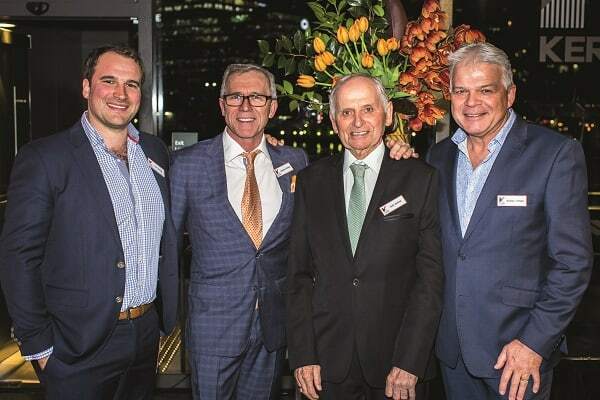 A family-oriented contracting business that celebrated its 45th anniversary in 2017 has taken a ‘bottom up’ approach to underpin its growth plan. Paul Skelton reports. Most electrical contractors don’t have a business plan, and for those that do it is often ‘do work, get paid’. However, a considered business plan can lead to a successful operation that supports you and your family well into the future. Take the Sydney-based contractor Kerfoot, which was founded in 1972 by Keith and Barbra Kerfoot. Five years ago the company established a growth plan to shore up its future. At that point the business had functioned for 40 years but it was time for some certainty on what came next. Josh Kerfoot represents the third generation to be involved in the business. “In 1972, my grandfather started working out of his garage in Toongabbie,” he says. “He focused primarily on the residential market but also did a small amount of commercial work, mainly in nursing homes. In the early 1990s Kerfoot (then known as Kerfoot Electrics) began operating solely in the commercial sector and has since grown rapidly. Kerfoot now employs 89 staff, including 70 technicians working in the field. “Understandably, we’re pretty proud of our name and the role it plays in our industry, its strength and history,” Josh says. “It means we can never do the wrong thing for any of our clients. Our company name is our family name, so we can’t hide behind anything. However, reputation alone will take you just so far. Without a plan, even the best company will stall. “About five years ago, we decided that we wanted to grow and realised the only way to do that was to put a specific plan in place. When the company decided to implement its growth plan it was facing many of the challenges that contractors experience every day. “It was tough. We were working on so many smaller projects with our resources stretched across all of them. It was taking up a huge amount of our time. “We started to explore working on a range of different projects with a broader spectrum of electrical work. Some of these were a lot larger than our usual projects but we realised that we already had the resources in-house to service these projects. “We didn’t want to grow too quickly and ruin our name in the industry. Nor did we want to upset our existing clients. Josh says the company’s growth plan is far from complete. “We recently decided to invest in the mechanical electrical side of the business and now have 14 technicians dedicated to that arm of the business. Most recently, the company gained its third consecutive NECA National Excellence Award. “Part of our growth plan was to get all of our management systems certified,” Josh says. “Prior to certification, we had a lot of systems in place for safety, quality, environmental management, and so on. We used them every day and they were really good systems, but a lot of government organisations require ISO certification. We didn’t have that. Josh says this was achieved mainly through changing the approach to safety. “The ‘top to base’ way of introducing policies and procedures was made redundant. “Instead, we introduced a ‘bottom up’ approach, starting with our most junior and inexperienced staff (the apprentices). Immediately we saw them become much more engaged with our pre-starts and toolbox talks. This flowed through to the tradesmen and leading hands, who also suggested improvements, all the way to the management level. It’s an ongoing process, Josh says, with staff continuing to raise improvement and corrective action requests (ICARs) and logging and openly discussing every near miss as it happens. “Each morning we carry out a pre-start, and each week we carry out a toolbox talk. “During each pre-start, we discuss the tasks of the day. Possible risks, hazards and special attention areas are highlighted and we agree on how to carry out the works in the safest possible manner by applying the highest level of the control hierarchy. There’s a strong preference for eliminating the risks. One key part of Kerfoot’s incident prevention and elimination system is the documentation of near misses. This may involve something as simple as clutter on the floor creating a trip hazard or a serious matter such a wire hanging from the ceiling that could be left live. “The process of near misses has helped us reduce our incidents considerably and has shifted the focus from problem to solution,” Josh says. “This new level of engagement by apprentices, tradesmen and supervisors has seen issues being raised and corrected and processes being improved at the lowest wage levels of the company, streamlining the processes and significantly reducing the cost per solution. “The NECA Excellence Award validates everything we are doing, because it’s about our business and not about one particular project.